This mildly exfoliating bar will gently slough of dead skin cells leaving your skin feeling fresh and pampered. 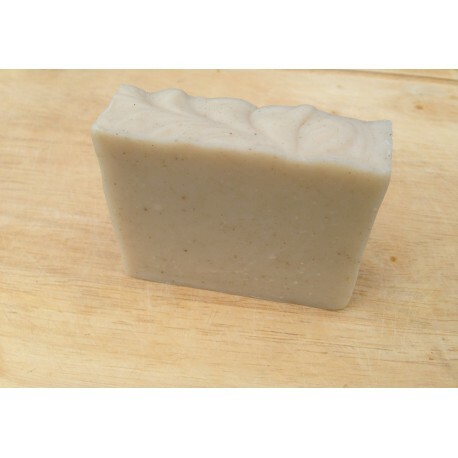 Scented with essential oils of Eucalyptus, Bergamot, Lavender and Spearmint. Coconut milk is antibacterial and is high in vitamins A and C and natural proteins. Dead sea mud has long been known for its ability to alleviate a wide range of problem skin conditions. Ingredients: Sodium olivate, Aqua, sodium palmitate, Sodium cocoate, sodium shea butterate, sodium castorate, coconut (cocus nucifera) milk, dead sea mud, essential oil blend. geraniol, citral, limonene, linalool.